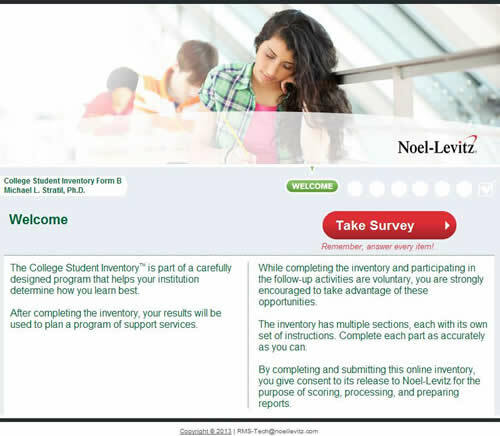 The College Student Inventory (CSI) identifies the individual strengths and challenges for each member of your incoming class, as well as their receptivity to your interventions, early in the first term. This student assessment provides data to make interventions more meaningful and relevant, before a student has made a decision to stay or leave. With the CSI, you prioritize your interventions more effectively, connect at-risk students to the resources they need most, and help more of your incoming students persist.